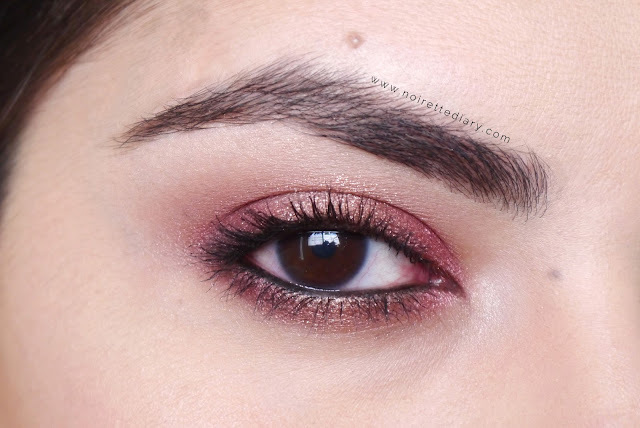 A while ago I finally got my hands on Pomegranate Punk, a beautiful cranberry pink cream eyeshadow from Maybelline. I immediately wore it that weekend on a smokey eye and recreated the look for the blog today. Hace poco por fin tuve en mis manos Pomegranate Punk, una sombra en crema color rosa arándano de Maybelline. Inmediatamente la usé ese fin de semana en un ojo ahumado y hoy recreé el look para el blog. I have done a similar look to this before (here), but this time I tried to incorporate more reddish tones. 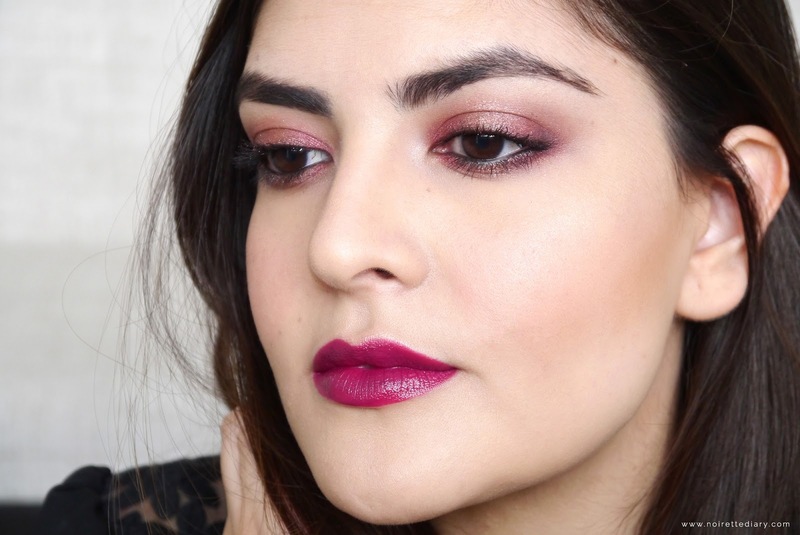 It would be almost illegal not to pair up Pomegranate Punk with MAC Cranberry, and MAC Rebel just to tie everything together in the Fall mood. I added a pop of brightness to the center of the lids to contrast the plummy tones all over the face. He hecho un look similar a este antes (aquí), pero esta vez traté de incorporar más tonos rojizos. Sería casi ilegal no usar Pomegranate Punk con MAC Cranberry, y MAC Rebel de una vez para estar en ambiente otoñal. Agregué un pop de iluminación en el centro de los párpados para contrastar con los tonos rosas de todo el rostro. - theBalm Mary Lou Manizer. 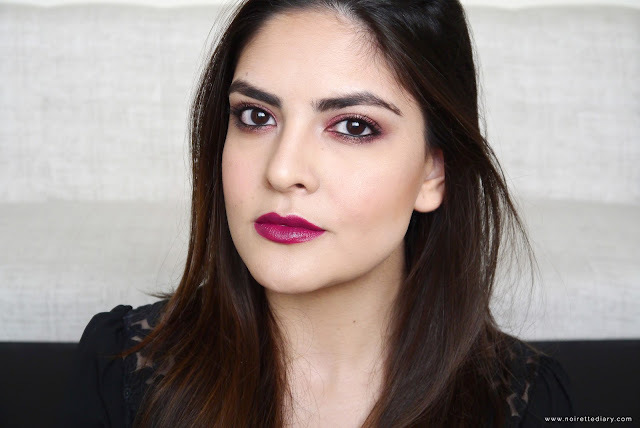 - Maybelline Color Tattoo in Pomegranate Punk. 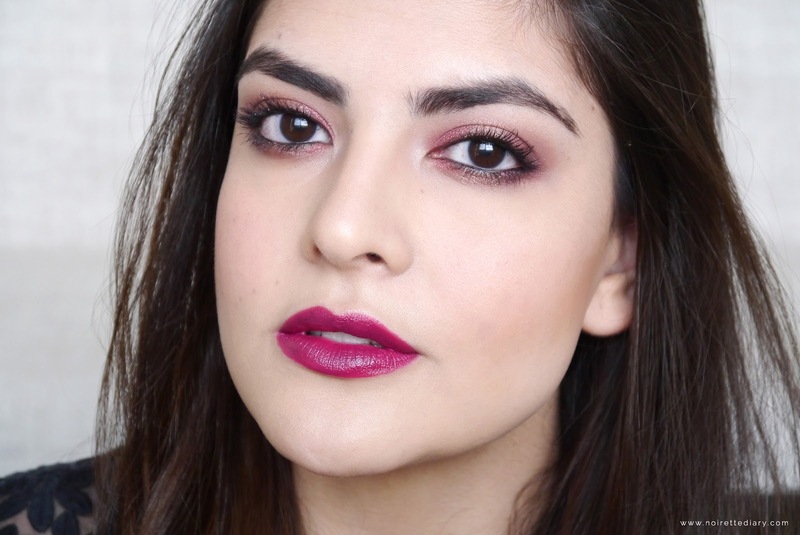 - MAC Cranberry (outer and inner third of the lids/orillas externas e internas de los párpados). - Naked 3 Palette: Limit (crease/cuenca), Trick (center of the lids/centro de los párpados), Blackheart (outer corners/orillas externas), Strange (brow bone and inner corners/bajo la ceja y orillas internas). Have you tried this cream eyeshadow? ¿Han probado esta sombra en crema?